Lane Issue To Be Re-visited? In an article in the Daily News Mayor Ruttan is reported to want to review the issue of reopening a fire lane between Glenayr Dr. and Holyrood Dr. before a final decision is made. At the Committee of the Whole meeting on Monday Councillor McKay made what seemed the best suggestion that would be of the benefit to the whole community. His suggestion was to sell the property to the adjacent property owners which would bring immediate cash into city coffers and would increase the tax base going forward. Given that this lane has been closed for 40 years it is doubtful it is really needed in the area since it's orginal purpose of being a fire lane is no longer needed. I was puzzled on Monday, at the lack of interest fellow councilors showed with McKay's suggestion, it was as if they had not even considered the merits of selling the property and increasing the tax roles. I was also puzzled that staff had not presented the potential income benefit which would accrue to the city if they chose to sell the property rather than reopen the lane. That was however, the same night they decided to spend $170,000.00 on an electric Zamboni instead of $80,000.00 on a new propane powered one. Nanaimo Long Weekend Weather Looks Great! Whether you are planning on one last long weekend of camping or traveling off the Island, or if you will be holding close to home, or perhaps rushing around getting those last minute school supplies, you should be able to do it under clear and sunny skies this long weekend! A complex specifically designed for students is now open across from Vancouver Island University. 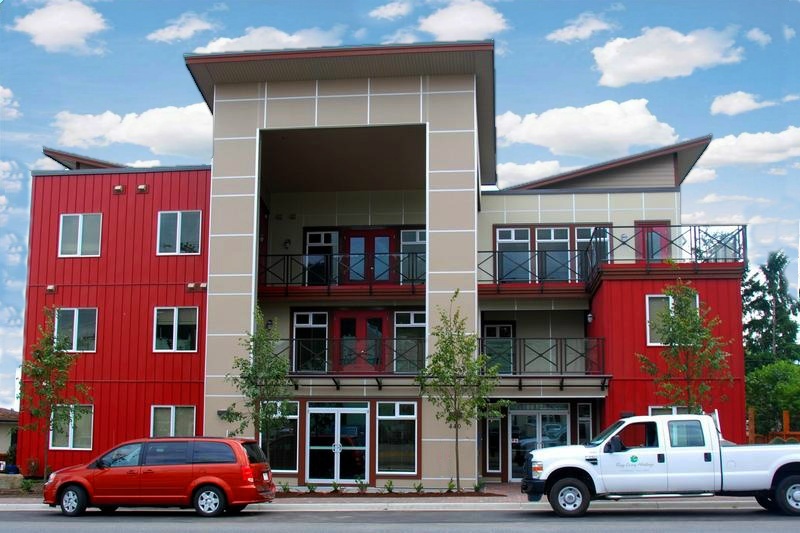 It features 25 units and can house 37 students offering furnished one and two bedroom suites all of which have a kitchenette and three piece bathroom. The complex is described as not being a 'party house' and is geared towards students who are serious about their academic pursuits. Vancouver Island University (VIU) is getting infrastructure upgrades with $3.4 million in capital funding as part of the B.C. government’s investment in public post-secondary infrastructure this year. The upgrade work will ensure VIU’s campus infrastructure and operational systems are performing at optimal levels, which is important to keep B.C.’s campuses in top operating shape. Examples include elevator replacement and fire alarm upgrades. The university and government also announced today how more than $600,000 in one-time funding will be used to offer short-term training in the region. The university expects to create seats in a variety of fields over the coming year, including trades such as welding, boat building and the culinary arts. B.C. taxpayers are providing over $51 million for Vancouver Island University’s operations this year – including an allowance for general infrastructure maintenance – up from $38.8 million in 2001-02. The number of funded student spaces at the university has increased nine per cent since 2003-04. Almost $42 million in capital investments have been made at VIU since 2001, including a $13.5 million contribution from the B.C. government for the Cowichan Place campus in Duncan. A church in Victoria apparently had been sitting on a major asset for perhaps the past fifty years or so. That was before an antique dealer visited the church two years ago for a Bible study and identified the chairs as being a rare and valuable Qing Dynasty treasure. 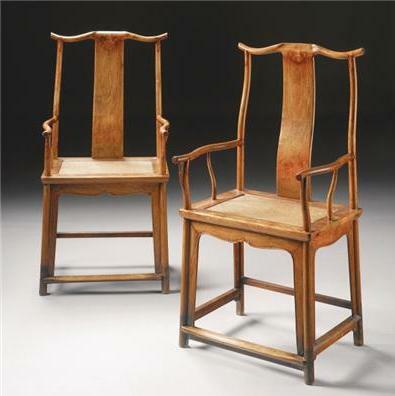 The chairs are due to be sold by Sotheby's sometime next month where they are expected to fetch up to $250,000.00. With my tongue firmly stuck in the side of my cheek, I am delighted to report that the old city annex was able to withstand the 'seismic event' which took place yesterday norhtwest of Langford. You may recall our Mayor saying that staff could be in great peril with the slighest shaking. Even the engineer who was paid to assess the building says there is a high risk of significant damage or partial collapse in a seismic event. That particular statement has always struck me as being not very precise as the seismic event is not quantified. Remember it was this report that was used as the basis for starting the ball rolling so that staff could conduct taxpayer business in a shiny new office rather than upgrading the old one for one third the cost. They also thought that spending $12 million on a new building without going to tender was a good idea also. I wonder how they compare prices for their personal purchases? But then again, like electric Zambonis it is easy to spend other people's money and clearly city council seems to exist for the sole purpose of supporting this pursuit. 534,691 estimated full-time public school students this September, compared to 540,696 for the September 2011 estimate (6,005 fewer students). Since 2000-01, there has been a decrease of more than 63,000 students. 58,962 estimated English Language Learning (ELL) students – 202 fewer than last year. 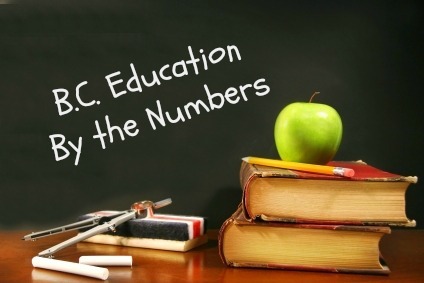 54,031 estimated Aboriginal students – 258 fewer than last year. 23,832 estimated full-time students with special needs for 2012-13 – 38 fewer than last year. 6,903 estimated non-graduated adult students – 613 more than last year. At 16.7, the ratio of students per teacher/administrator has remained relatively stable over the past decade. In 2011-12, 99 per cent of classes had 32 or fewer students. A total of 4,485 classes had 15 or fewer students in 2011-12. There were 259 more full time equivalent education assistants in 2011-12 compared to the year before, bringing the total to 9,037. Estimated operating funding to school districts is a record $4.725 billion this year – a $4-million increase over 2011-12. Since 2000-01, government has increased funding to B.C. public schools by nearly $1.4 billion: a 26 per cent increase in operating funding ($981 million) and $407 million in one-time grants. The average per-pupil funding for 2012-13 is now an estimated $8,493, up 36 per cent since 2000-01. Total funding for students with special needs is now an estimated $866 million for 2012-13.
o Hire additional teachers and special education assistants. o Provide additional teaching time. o Support professional development and training to help teachers meet complex needs in their classrooms. To support BC’s Education Plan, $10.7 million is being provided to support early reading in every school district for students in kindergarten to Grade 3. 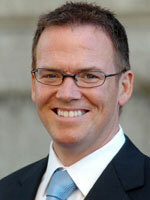 Kevin Falcom announced today he is resigning as Deputy Premier and Finance Minister effective immediately. He also announced he will not be seeking re-election in the next provincial election. Premier Clark says that Shirley Bond,, Attorney General and Minister of Public Safety and Solicitor General, has been asked to serve as Acting Finance Minister in the interim. Minister Bond already serves as Deputy Chair of Treasury Board and alternate Finance Minister. Falcon also announced that he and his wife are expecting a new addition to their family who should be arriving in Feb. of next year which is a reason he felt someone else should be preparing the next budget. He also stated that he feels the person preparing the budget should also be the person prepared to defend it during the next election. Premier Clark thanked Falcon for his 12 years of service and wished him well in his future pursuits. Create a launch pad for items your child needs for school each day—a space for backpacks, lunch kits, shoes, jackets and school assignments. This will help keep your child organized and ease the morning rush. Confirm start times for the first day of school and the entire first week. If your child is attending a new school, check with the school board to ensure your child has the information and identification needed for registration. Adjust your children’s bedtime and wake-up times a week before the start of school to prepare them for the back-to-school routine. Get your children in the habit of choosing their clothing the night before to help the morning begin calmly. Find out how your child’s teacher likes to communicate with parents and take advantage of contact opportunities. You can make an important contribution by volunteering at your child’s school. Contact your local board of education or the Parent Advisory Council to find out about volunteer opportunities. Canadian Blood Services will be holding blood donor clinics in Nanaimo on Aug. 29th and Aug. 30th at the Beban Park Social Centre, 2300 Bowen Road from 12:00 pm - 7:00 pm both days. You can attend the clinic by appointment which is preferred, also by walk-in if the time is available. If you are planning on walking in, be sure to leave yourself enough time to fill out forms etc. You can save time and be assured of when you should arrive by making an appointment first by calling 1-888-236-6283 or visiting their website for more information. Another Waste Of Your Tax Dollar! In spite of all the sound bites about wanting to save taxes at every opportunity and knowing how pressed many Nanaimo residents are financially these days, city hall staff keep coming up with more innovative ways to spend YOUR tax dollars, and the majority of city council just keeps right on spending. The decision to spend $170,000 on an electric Zamboni rather than $80,000 on a propane model is the most recent example of how easily staff can spend your money, and how willing city council is to oblige their every whim. During the discussion at the COW meeting on Aug. 27 PRC staff were seeking council approval to purchase an electric Zamboni for the low, low price of only $170,000.00. Follows are some of the comments from city councillors during discussion of this matter. Pay attention to whom you think might actually want to try and save you some tax dollars. It isn't all of them, for sure. Councillor McKay raised the issue of cost comparison between the electric Zamboni and the propane version of the same machine. He noted that in Sarnia they bought the propane model for $79,000 and got a $12,000 trade in for their old one. Councillor Anderson thought the expense of an electric model was warranted as it tied in with the city's decision to ban bottled water. Councillor Johnstone couldn't understand why council was even being asked to approve the expense, thinking it was already in the budget for PRC. Apparently reviewing and looking for savings opportunities are not on her radar. Councillor Bestwick who arguably should be the council 'expert' when it comes to Zambonis quizzed PRC staff as to the decision process and findings that led to this decision. Some of the answers were less than satisfactory as staff was unable to say what the life cycle was for the battery in the electric Zamboni. The cost per use of .25 for the electric as opposed $2.00 for the propane were unsupported comparisons. One of Bestwick's main concerns was the idea that staff may be wanting to replace all 5 Zambonis with the $170,000 version over time. The decision to spend $170,000.00 instead of $80,000.00 was passed by council with Councillors Bestwick, Kipp and McKay opposed and Councillors Brennan, Grieves, Johnstone, Pattje, Anderson and Mayor Ruttan in favour. When it was first developed the subdivision occupied by Holyrood and Glenayr Dr. had a twenty foot wide fire lane between two properties. At some point over thirty years ago the lane was basically abandoned by the city and the adjoining neighbours closed the lane and used the property as if it were part of their back yards. It seemed an acceptable agreement for decades, as there was no longer a need for a fire lane and there had been issues with garbage dumping etc. on the unoccupied lane. That is an oral account of the history of events as city staff can find nothing documented. A resident on Holyrood apparently complained to the city about these public lands being encroached upon by the adjacent lots. That is what triggered the action on the part of city staff, as they were apparently in agreement with the current arrangement for decades. Councilor Pattje, whom I believe was the only Councilor to have actually visited the site was in favour of finding a more amicable solution, other than re-opening a full twenty foot wide swath to accommodate a five foot wide path. Councillor McKay on the other hand made the most sensible sounding suggestion of the meeting, which was to sell the land to the adjacent property owners, which would add money to city coffers through the sale and also increase taxes from this point onward. This land has not been used by the city for over 40 years and is not needed as a fire lane, so it would make sense to increase the tax base and pick up a few dollars through the sale. That however, would seem opposed to city council's overriding method of operation which seems to be to find as many creative ways to spend tax dollars as they can imagine. 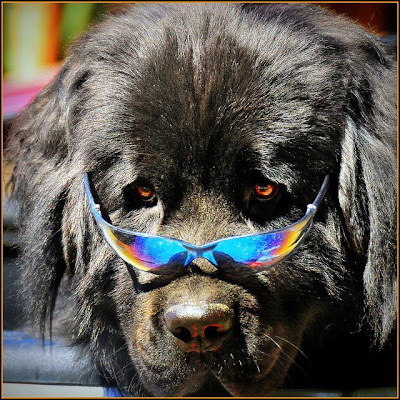 Do Ya' Like My Shades? If You Are Not Smiling..........Check Your Pulse! Local photo artist Sheryl Falls, snapped this cool fellow on a recent trip up island. When she came by, he was wearing his shades, it wasn't set up for the photo. Yup, he was in the back of a pick up truck, and his buddy might have been picking up a six pack! Is This The 'Character' Of Our Harbour? Will It Remain With Proposed Changes? "Report - a - Weed BC"
VICTORIA – Anyone with a smartphone can now help stop the spread of invasive plants in B.C., thanks to an innovative application developed by Hipwood Digital, the Invasive Species Council of British Columbia and the Ministry of Forests, Lands and Natural Resource Operations. The “Report-a-Weed BC” app is free to download and is available for both iPhones and Android phones. The easy-to-use interface allows users to submit reports on invasive plant sightings anywhere in B.C., upload photos of plants they find, and view previously logged sightings on a Google map. Browse through a list of invasive plants (searchable by the plant’s common name, Latin name or flower colour) or scroll through a photo library of known invasive plants. View an interactive map of B.C. that displays details about the 500 most recent submissions. Use the app online or offline (in areas with no cell phone coverage, users can click “Submit” as usual and the report will be sent as soon as cell coverage resumes). Regional weed committees, the Invasive Species Council of B.C., governments and stakeholders work together to raise public awareness of invasive plants, survey existing populations and treat high-priority sites to control their spread. The involvement of smartphone users will assist landowners and invasive plant managers with early detection and rapid response efforts, and enhance their knowledge of how invasive plant species are distributed in B.C. Download the iPhone version using this Nanaimo Info LINK. 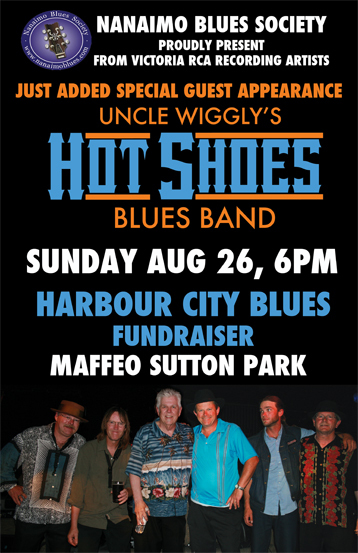 Download the Android version using this Nanaimo Info LINK. For Bus Route Information use this Nanaimo Info LINK. 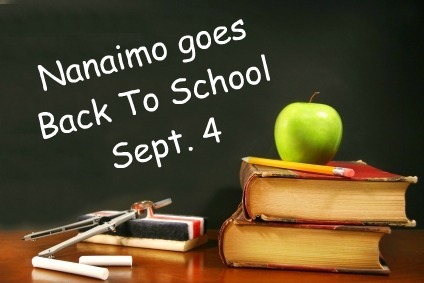 To visit the School District website use this Nanaimo Info LINK. Another summer in Nanaimo has nearly come and gone and visitors to Maffeo Sutton Park still have had only one food option from the lone vendor in the park. It is still a mystery why the Parks and Recreation department are showing so much favour to this one hot dog vendor. Granted, they do make good hot dogs, but the park itself offers nothing else in the way of food variety which in itself might entice more people to come and enjoy what the park has to offer. You may recall the story earlier this year of the young couple who wanted to open a vegan food cart in Nanaimo, and after six months of getting the run around moved their venture to Parksville. The following video aired in March of this year on CTV news out of Victoria. Apparently Nanaimo is no closer to solving the Food Cart issue than earlier this year when a couple spent six months trying to get a permit. 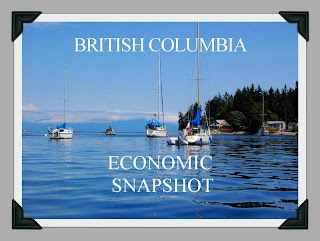 VANCOUVER, BC, Aug 25, 2012/ Troy Media/ – Weakness in consumer spending became more apparent in June as retail sales in B.C. fell 1 per cent from May to $5.09 billion, marking the lowest level and largest monthly decline since December. General economic uncertainty, lower consumer confidence and weak housing markets likely kept buyers from opening up their wallets, leading to slightly negative trends in current- and constant-dollar retail sales, despite ongoing population growth. Changes to duty-free allowances have also made cross-border shopping in the U.S. more compelling, which may have contributed slightly to the weakness. Recent sales weakness has narrowed year-to-date growth to 4.8 per cent, down from 5.2 per cent in May. Growth has been led by Metro Vancouver (6.6 per cent), while the rest of the province was up only 3.2 per cent. Despite the gains, monthly sales trends outside Metro Vancouver were negative, while sales within the region showed signs of a top. We forecast annual retail sales growth of 4.9 per cent this year and a more modest 3.9 per cent gain in 2013. Most retail sectors have recorded decelerating growth or declining sales trends in recent months. Negative trends have been recorded by retailers of electronics and appliances, motor vehicles and parts, and general merchandise sectors. In contrast, relatively strong sales growth has been observed in the home furnishing sector, but these gains could prove to be temporary given ongoing weakness in housing markets. Declining gas prices also put downward pressure on retail sales volume. However, this decline is positive as it allows consumers to shift income away from energy costs towards other goods and services in the economy. The elevated Canadian dollar and lower U.S. prices have been an ongoing challenge for retailers as more Canadians flocked across the border for deals. Corresponding with the appreciating Canadian dollar, and weak U.S. economy/low prices, day-trips (via auto) by Canadians returning through B.C. have more than doubled since 2008 to more than 850,000 (seasonally-adjusted) trips per month in 2012, while overnight stays have increased by more than 20 per cent to more than 240,000 visits. While not all this travel is by B.C. residents or necessarily shopping-related, it is a pretty good bet that a substantial portion is, representing a further leakage of potential domestic sales to the U.S.
Changes to duty-free allowances effective since June 1 will generate more cross-border shopping and more competition for Canadian retailers. Canadians returning from the U.S. after 24 hours can purchase up to $200 at the duty-free shop – four-times the previous limit, while those returning after 48 hours can re-enter with up to $800 worth of goods, double the previous limit. This makes cross-border purchasing of bigger ticket items like televisions and other electronics more likely. A 16 per cent monthly gain in the number of overnight travelers (by automobile) in June suggests that at least some consumers have taken advantage of the new rules by heading south – Canadian retailers beware. While tourism abroad has ascended to new heights in light of the strong Canadian currency and relatively healthier economy, international visits to B.C. have continued to stumble near recessionary lows. Factors boosting Canadian travel abroad have also hampered a recovery in the flow of international visitors to B.C. International tourist entries rebounded slightly in June following a 2 per cent decline in May to reach a seasonally-adjusted 350,700 visits, up 1.3 per cent from May. Comparable growth was observed for both overseas and American visitors. Despite remaining near the top-end of post-2010 Olympic range, total international tourism levels continued to trend well below average levels observed in the mid-2000s. The pace of U.S. visits is only about 80 per cent of 2005 levels, while overseas visits are about 95 per cent. 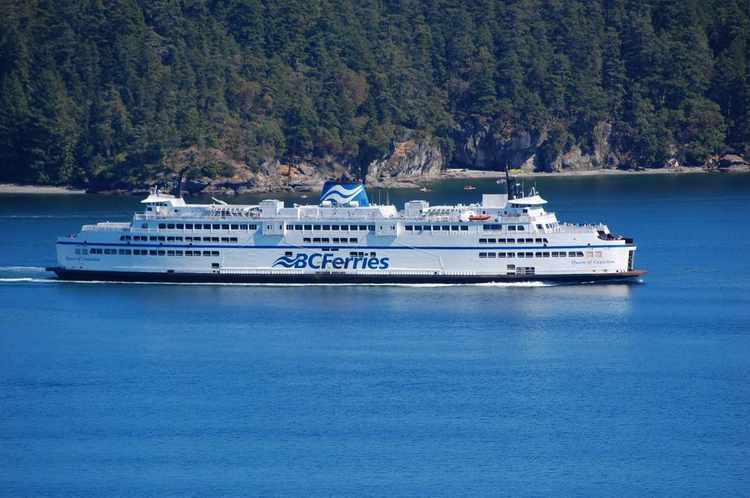 Through June, total international tourist visits to B.C. reached 1.82 million persons, up 2.1 per cent from same period 2011. While the flow of visitors is comparable to the last few years, it remains more than 10 per cent below mid-decade levels. The above are a few highlights come to light this past week on the operation of your insurance corporation. This is just another example of the largesse seemingly practiced by many once they get their nose into the public trough. It also points to a serious abuse of the public trust when the government of any stripe uses insurance premiums as a form of taxation to fund general revenue. When you pay your ICBC premium or your medical services premium you would be forgiven if you thought this was a premium going directly to the insurance you think you are buying. In fact it seems these are both just another form of taxation foisted on the snoozing public. This largesse is not restricted to the above examples, but also seems to apply to the out of balance wages and benefits being enjoyed by all levels of the public sector. A close to home example would be the recent 2% increase enjoyed by city staff at a time when most in the private sector are lucky to still simply have a job. This 2% on top of increases over the past few years is hard to justify, however is an example of the performance of those we have elected to watch the public purse. They say they want to hold the line on taxes but continue to find more and more ways to endorse projects that require more and more spending. Now I predict they will use the Strategic Plan to endorse their grandiose projects which will require ever increasing taxes. Just watch what happens with the budget this fall. 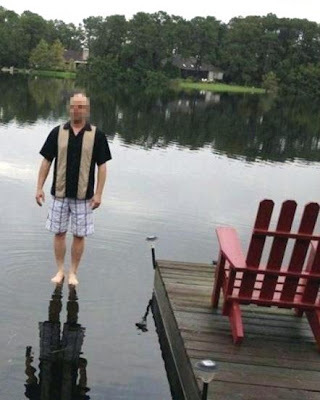 Photoshop or The Real Thing? Nanaimo Economic Development Corp. CEO?? I can't confirm the subject captured in this photo, but it has been suggested it could be a shot of the new head of the NEDC. It would be consistent with the recent letters to the local papers submitted by NEDC board chair Mr. Hustins where he falls short of claiming the new CEO can walk on water, but just barely. A recent report released by TransUnion would indicate that British Columbians are carrying the highest level of non-mortgage consumer debt. 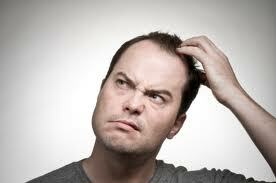 This would include debt such as credit cards, lines of credit, auto loans etc. but would not include mortgage debt. It would also not include things such as housing, food, utilities etc. The following figures are not household debt figures, but personal consumer debt per person. You don't need a Masters in Economics to realize this is not a positive trend especially if you consider the effect a one or two percent increase in interest rates could have on this level of indebtedness. 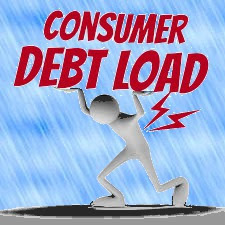 This represents the highest level of consumer debt since TransUnion started tracking this data in 2004. 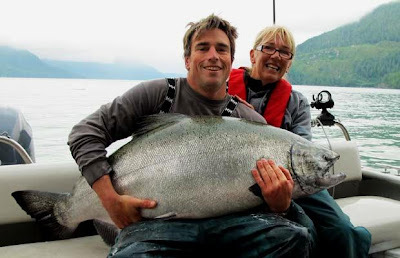 As the above Vancouver Sun photo proves BC Waters still yield some monster salmon! To read the full account of story about the one that didn't get away just click on the photo. Yes, they did release this grand daddy so he can pass along his impressive genes! Survery results will be published here and sent to city council also. The Nanaimo Economic Development Corporation recently awarded contracts to regional firms after two open and thorough RFP processes. A photography and videography contract was awarded to Cinnabar Vista Productions of Nanaimo, BC valued at $23,794 total. Broken down it equals $14,800 for photography and $8,994 for videography. A web-site development contract was awarded to Trinex Internet Solutions of Parksville, BC valued at $27,000.Tourism Nanaimo underwent a small redesign in February 2012; primarily moving content away from what was previously two organizations, and bringing tourism together under the NEDC umbrella. The redesign was the first step in a larger process to bring both Economic Development and Tourism Nanaimo together, however, each site with a different look and feel. 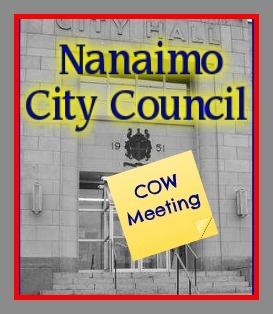 There are many items on this agenda of interest, unfortunately it is not going to be broadcast and sometimes the local media don't give COW meetings the same coverage they do a regular council meeting.One of the items on the agenda is staff recommending council give direction with regards preparing the financial plan for the next five years. Apparently the first budget will not be presented until Nov. 26th this year as staff are installing a new budget program. It will be interesting to see how the strategic plan directions will be incorporated into the preparation of the budget. It is also noteworthy that no one seems to be talking about the Core Services Review, which was one of the reasons for doing the Strategic Plan. 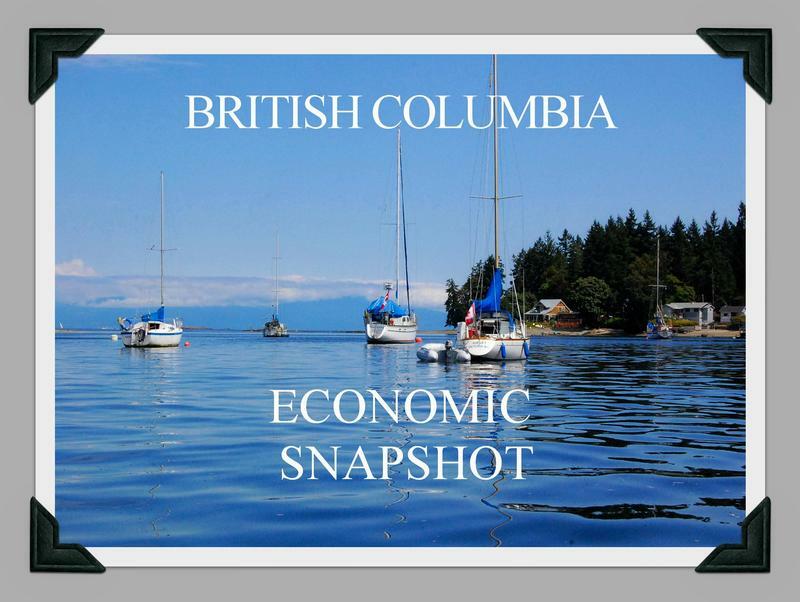 Aug 22, 2012/ Troy Media/ – B.C.’s labour market gave back a substantial portion of the job gains recorded since February, as estimated employment fell by 0.6 per cent (or 14,500 persons) from June to a seasonally-adjusted 2.31 million persons in July. While declines were statistically significant and suggest real erosion in the labour market in July, some of the decline was offset by an improvement in job quality as full-time employment gained. Employment losses were entirely concentrated in the part-time sector, which shed 24,100 persons (4.8 per cent) from June, which contrasted with a gain of 9,600 full-time employed individuals (0.5 per cent). Full-time employment has continued to trend higher in 2012 and has fully recovered to pre-recession levels. Declines in part-time employment may reflect a shift of part-time workers to full-time opportunities, or part-time jobs are being converted to full-time hours. Of course, part-time positions could also be lost due to insufficient demand in certain sectors. Total hours worked in the economy provides an additional indicator of real employment. While total hours dipped from June, estimates remained still higher than May levels. Nonetheless, the labour market showed signs of weakening in July. While the labour force edged lower, the ranks of the unemployed rose, pushing the unemployment rate up to 7 per cent from 6.6 per cent in July. B.C.’s unemployment rate has been volatile this year but has fluctuated near the current level. The unemployment rate in Metro Vancouver rose from 6.5 per cent to 6.9 per cent in July. The tempering of employment in July supports our view of a less vibrant labour market in the latter half of 2012. Confidence-challenged businesses are expected to respond with caution to persistent global economic uncertainty by dampening the pace of hiring. After running ahead of 2011 by about 1.9 per cent over the first six months of the year, annual growth is forecast to temper to 1.6 per cent by year-end. As this CTV news item points out, the Nanaimo Food Bank is experiencing a double whammy this year with falling donations and rising demand. Usually in the summer seasonal employment reduces the demand on food needs at the Loaves and Fishes, however that had not been the case this year. Labour Unlimited also reports the number of people finding work through their agency is about half of what it was last year. Considering this is the summer when construction and other work used to pick up and demand for help from the food bank usually drops off, this could be signs of some rough months to come. The Homebuilders Association also recently reported that the number of applicants looking for work in the Nanaimo area has pretty much dropped off completely. This would indicate that much of the able bodied Nanaimo work force has simply either moved north or east in search of employment. The recent closure of five downtown Nanaimo restaurants and a less than stellar tourist season are all signs that the Nanaimo economy is perhaps not as robust as some of the dialoque eminatiing from city hall or the NEDC might have you believe. If you watch Nanaimo 'leadership' at many levels you would be forgiven for reminding yourself of that Nero guy who had a thing for playing the fiddle. The Vancouver Island Military Museum at 100 Cameron Street hopes to be open to the public near the end of September. Currently a new roof is being installed including new sheathing and shingles as well as new murals adorning the outside walls. 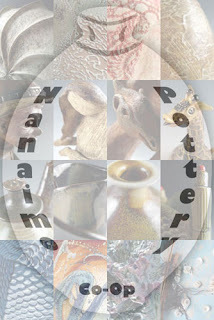 The museum used to be housed in the Nanaimo North Town Centre Mall until having to vacate that space earlier this year. The museum was able to strike a deal with the city which sees them moved into the building that used to house the Nanaimo Museum. Once open they should provide another downtown attraction that will attract the attention of residents and tourists alike. Woodgrove Centre’s Back to School Denim Drive kicks off this Saturday August 25 at 10:00 am in support of Big Brothers Big Sisters of Central Vancouver Island. People are encouraged to drop off their gently used jeans at Guest Services near the Food Court August 25 – September 3. 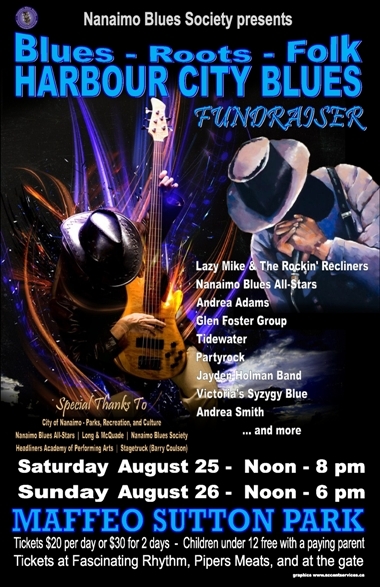 The first 250 donors will receive a $20 Woodgrove Centre Gift Card, one per person. The first 1000 donors will receive a coupon pack from Woodgrove retailers and a donor pin. Craig MacDonald, Director of Marketing & Fund Development with Big Brothers Big Sisters of Central Vancouver Island is excited about the initiative. He shared, "We value our partnerships with the community and appreciate organizations like Woodgrove Centre investing locally to improve lives of children in need. In addition this effort helps Bigs CVI launch our new Clothing Recycling Business, which will enable us to expand our programming and serve more kids throughout Central Vancouver Island and help keep our landfills free. Please call us with your clothing donations today!" My Son & Granddaughter Having A Blast! 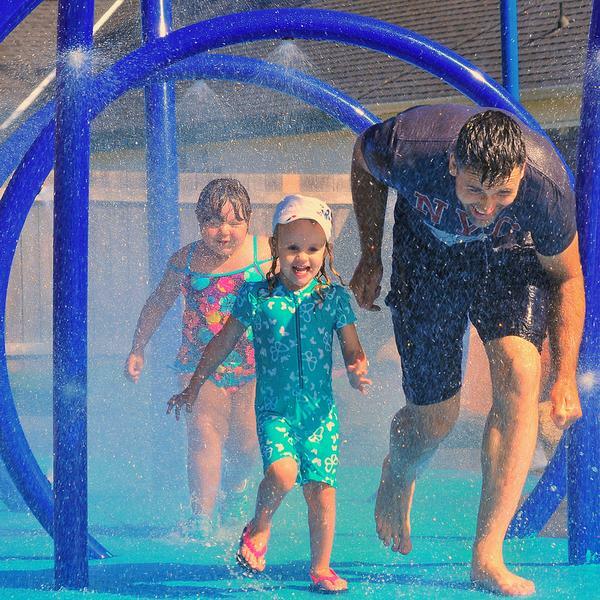 Went down to Victoria last weekend to visit #1 Son and his family and while there we took advantage of the great weather to spend an hour or so at the water park. The cutie on the left is my almost three year old granddaughter and the good looking fellow on the right is my son. It is hard to tell from the picture who was having the most fun and they both were really enjoying themselves. As warm as it was the water was still cool enough that little one was shivering after an hour or so, but of course when asked if she was cold now and wanted to leave, she replied in the negative though chattering teeth. Where does the time go? It seems like only yesterday I graced this page with a picture of newborn Amelia who will be turning 3 next month. The nice new cedar shingles on the bell tower/steeple of St. Andrews United Church stand out against a dark and ominous sky. 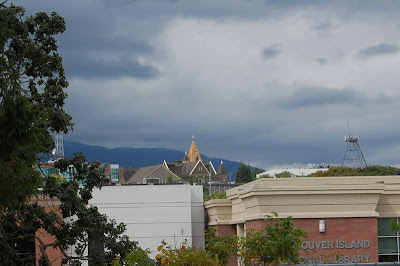 I am reminded that once upon a time this steeple would have been a focal point for many Nanaimo folk who saw the church not just as a place for spiritual direction weekly, but also a place of social gatherings of all types including town hall meetings and Strawberry socials. The Nanaimo Amateur Radio Association will be hosting a demonstration display on Sept. 8th at the Cedar Community Hall at 2388 Cedar Road. The group will be demonstrating the wonderful world of Ham radio, which is a fun sport which is becoming a steadily growing hobby in Nanaimo. 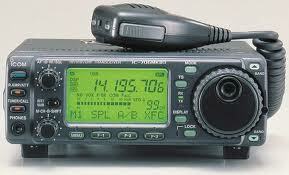 Ham radio operators are able to talk with people all over the world as well as providing emergency radio communications in the event of a disaster or other significant event. 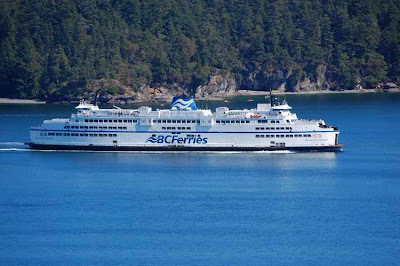 They can also be seen at Departure Bay during bathtub race day. If you would like more information about this interesting hobby you can contact Yvonne Finday who is the Secretary of the Nanaimo Amateur Radio Association at 250-758-0203 or Mr. Ron Gibson at 250-714-6819 or email ve7goa@gmail.com. Who Needs The Next Tourist Icon? How many places so rich with location and just big enough at the same time just small enough can boast what Nanaimo already has to offer?? The real challenge facing our city leaders is not trying to figure out how to be the Disneyland of Vancouver Island but rather how to improve on the fact we are the best place on the Island to live........simple! Our real challenge is deciding how we are going to provide family-supporting employment for the next generations as we go forward. Once upon a time coal drove the economic engine of Nanaimo, then forestry and the fishery had their day. Right now the public sector offers the greatest numbers the best opportunity to support themselves and their families, however, as Greece and other countries show, not everyone can work for government. However, the whole baby boomer generation will be looking for the best place to call home in their golden years, and there is no reason Nanaimo can't be known as that place. Tending to the aging population is perhaps one of the biggest business growth opportunities that is currently presented to Nanaimo and we might be wise to gear our efforts in that direction, rather than expecting the NEDC saviour to turn us into the next Silicon Valley or Disneyland. We can compete with any other place on the Island when it comes to providing the near-perfect ingredients to make us a retirement mecca for all who come to see what we have to offer. Great location, easy transportation access, unchallenged shopping, unrivaled natural beauty and outdoor lifestyle, good health care facilities, affordable real estate and the list goes on and on and on. 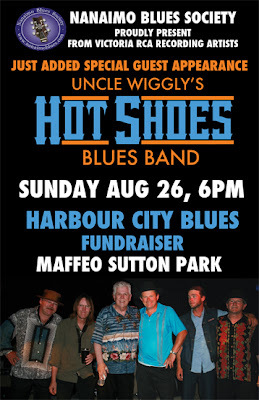 Nanaimo .... "The Perfect Place To Call Home"
The City of Nanaimo is working to further improve Maffeo Sutton Park. Now the busiest park in Nanaimo, Maffeo Sutton Park has developed over the last 40 years from an industrial site into Nanaimo’s destination waterfront park. Two public open houses will be held to discuss the future of the park. On Wednesday, August 22nd, 4-8 pm the first public open house will be held under the Spirit Tent. The second open house will take place on Tuesday, September 11th. The original Maffeo Sutton Park Improvement Plan was developed in 2008 with significant public input. The Maffeo Sutton Park Spirit Square opened in 2009 and was the first phase of park improvements. However, since 2008, 2.3 acres of property at 150 Comox Road has been added to Maffeo Sutton Park and the context of the park has changed. Therefore, City Council has initiated an update to the future phases of the plan. 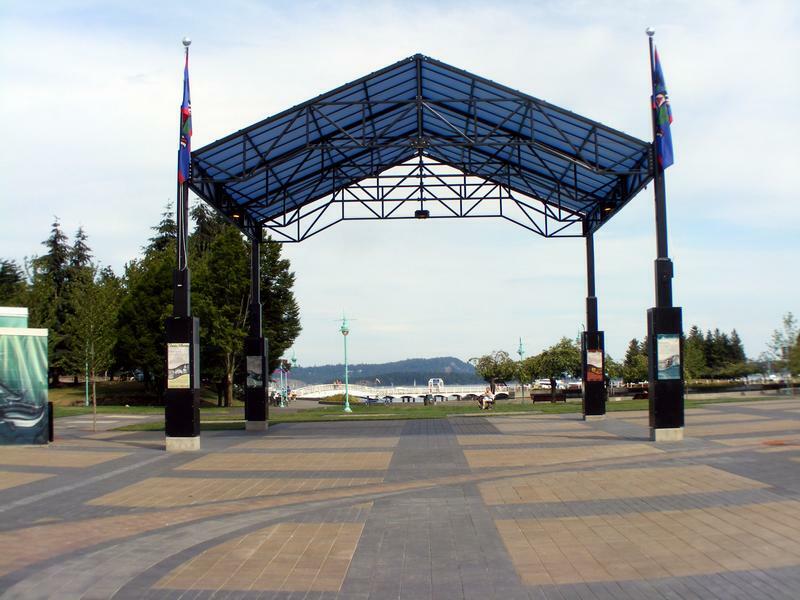 It is an opportune time to step back and develop a vision for the future of Nanaimo’s premier waterfront and special event park. Over the summer of 2012, public and stakeholder input is being gathered to assess the parks successes, weaknesses, and future directions. This input will help to develop an updated improvement plan for the park. Nanaimo City Council and Parks Recreation and Culture staff are keen to hear your input as we move forward in planning for Maffeo Sutton Park. 2012 is the time to brainstorm for what will happen next in the park. What would make Maffeo Sutton Park better and what should the priorities for improvements be? Can’t make these dates? Not a problem, there are many ways you can communicate your ideas for the park. Fill out an online survey http://svy.mk/N3wpQQ or talk to one of our park visitor surveyors in the park during the summer. You can also email your opinions and input to parks@nanaimo.ca or call 250-756-5200. New NEDC Head Has Baggage?